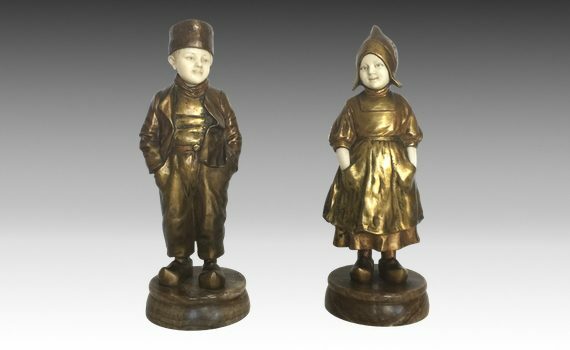 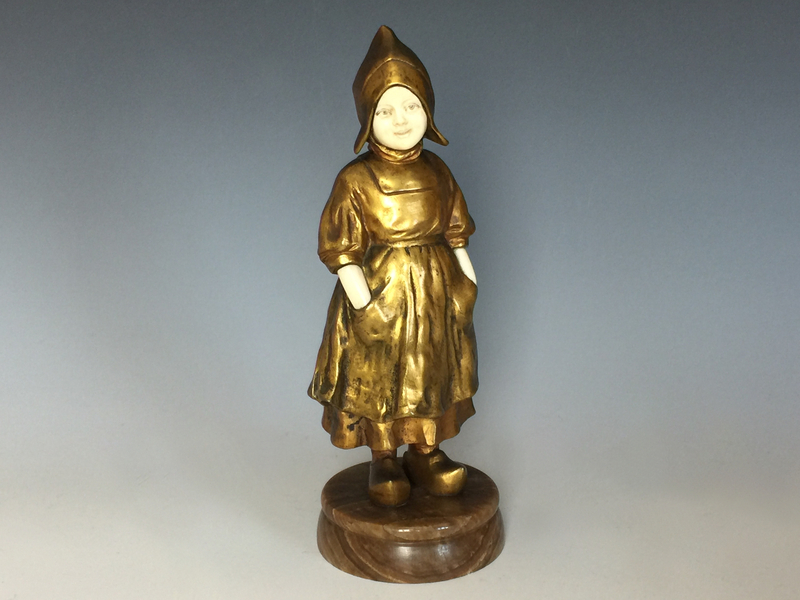 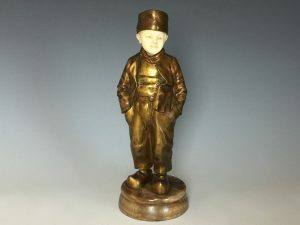 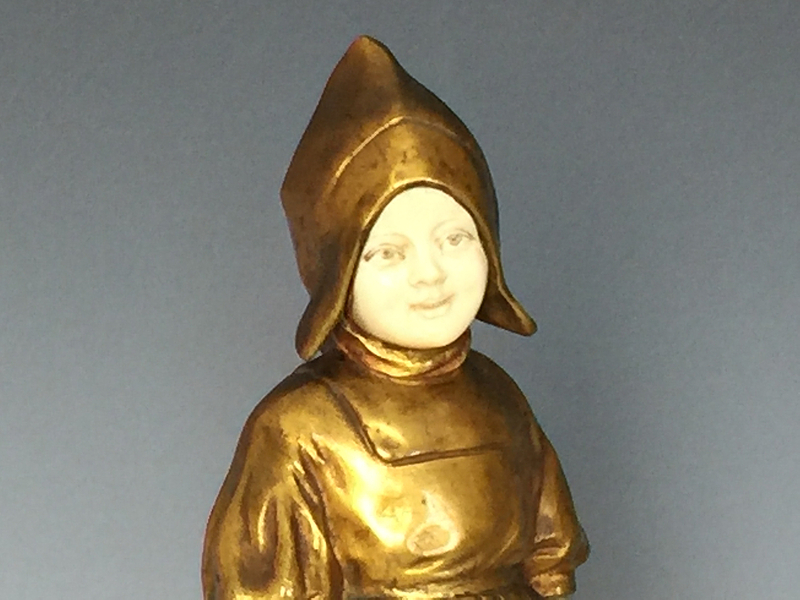 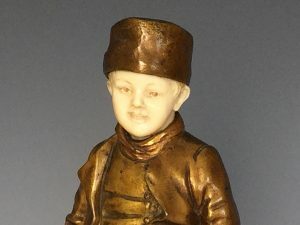 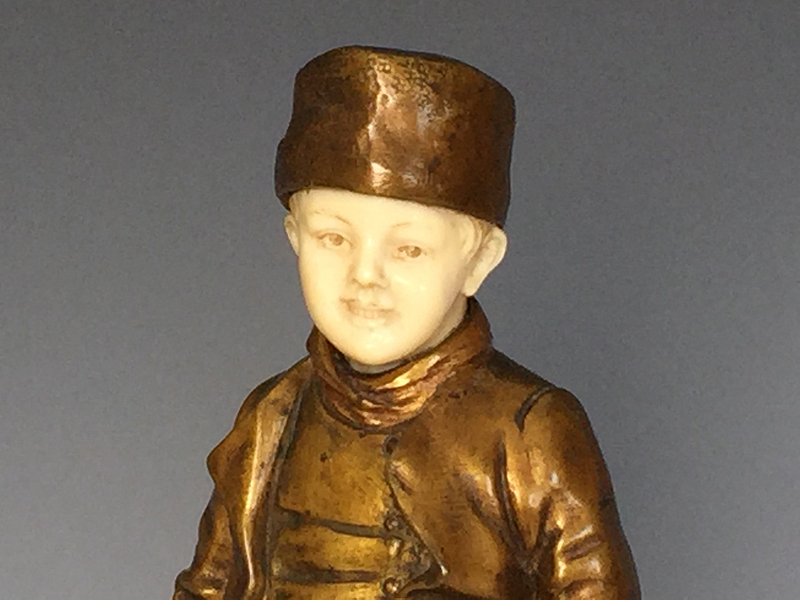 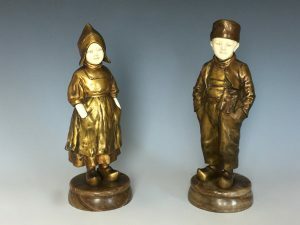 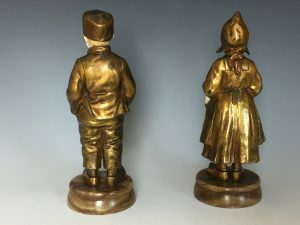 A pair of gilt bronze & ivory figures of a Dutch boy and girl dressed in traditional costumes, standing with their hands in pockets. 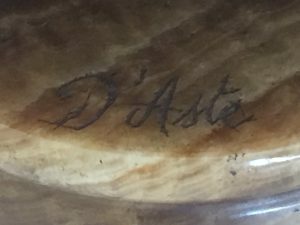 Both supported by turned onyx socles, signed ‘D’Aste to each base. Numbered ’54’ to the boys clog.